Greetings! On this blog I’ll be documenting my efforts to bring SCCA-style Formula 1000 racing to Thailand. 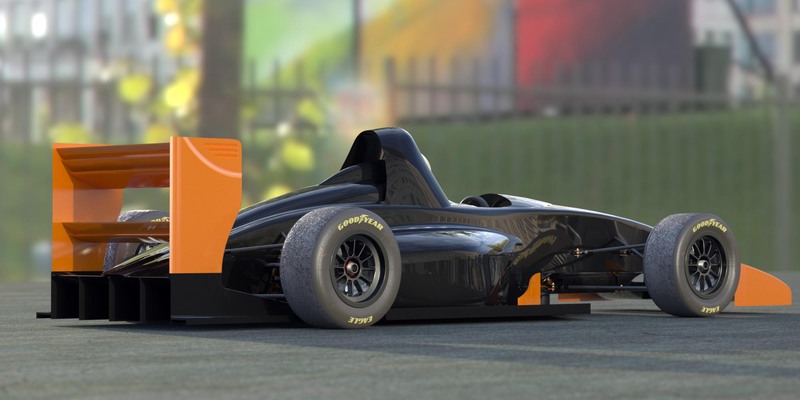 Formula 1000 is the fastest-growing class of race cars in the Sports Car Club of America, as it provides the greatest excitement for the money, but has not yet been seen in Thailand. Based on 1000 cc superbike engines and transmissions, the cars feature open wheels, slick tires, wings, and ground effects. Cornering speeds and braking are comparable to Formula 1 cars of 25-30 years ago. Costs are kept low by prohibiting engine modifications and exotic materials, and requiring a steel tube frame. The next step up in amateur racing is Formula Atlantic, which costs serious money. First off is to build the prototype. This entry was posted in Uncategorized and tagged formula 1000, race car design, scca fb. Bookmark the permalink. I am currently undertaking the design and build project of a formula student single seater to compete in the IMECHE event as part of the University of Central Lancashire’s ‘Formula UCLan’ entry. Any further images/progress of the build would be greatly appreciated.